So much excitement finding out about New Zealand's Digital Licence at our special assembly today! 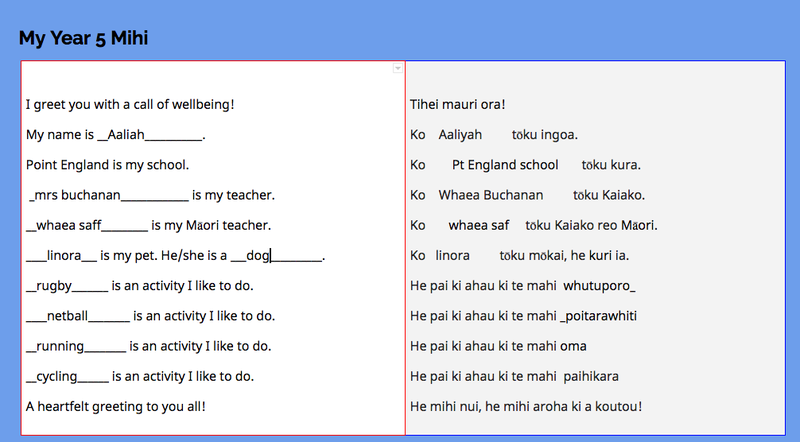 This online quiz has been developed for Year 8 and 9 students throughout New Zealand to make using the internet positive, constructive and enjoyable. 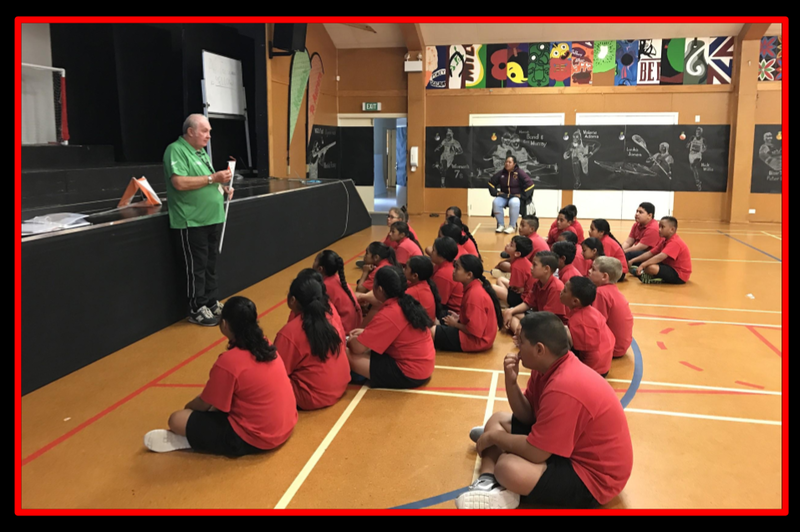 Guests from Google NZ, the Alannah and Madeline Foundation and Netsafe were there as Dominic Bowden hosted a competition between teams of Year 8 students to check it out. The buzzers could hardly keep up with all their Cybersmart thinking! Finding our way around school! At orienteering yesterday we were learning to read a map of Point England School to find our way around: Which way is north? Where are we? What do those symbols mean? We shared a map with a buddy and one of us placed a thumb on our map to show where we were. As we walked, we moved our thumb along to track our journey around school. Even though it was tricky to begin with, we were all pretty good at "thumbing" by the end of the session. First of all we talked about boats and following off the boat with a lifeJacket and without a lifeJacket.Next we went to go for a shower near the Spa pool.After that we did our falling off the boat with a lifeJacket and without a lifeJacket.we put our hand on our heads and our nose.Later on we did the chain holding onto our back of the lifejacket we were paddling backwards to the person at the back of us.In the end we huddled into a group like a ball and then we had free time. we had fun. We enjoyed the last of our swimming lessons at GI Pools last week. Here are some of the highlights from our ten sessions at the pools. We had so much fun learning about water safety with our instructors, Kat, Jed and Jess. It's the beginning of the netball season for our Year 5 Minions. 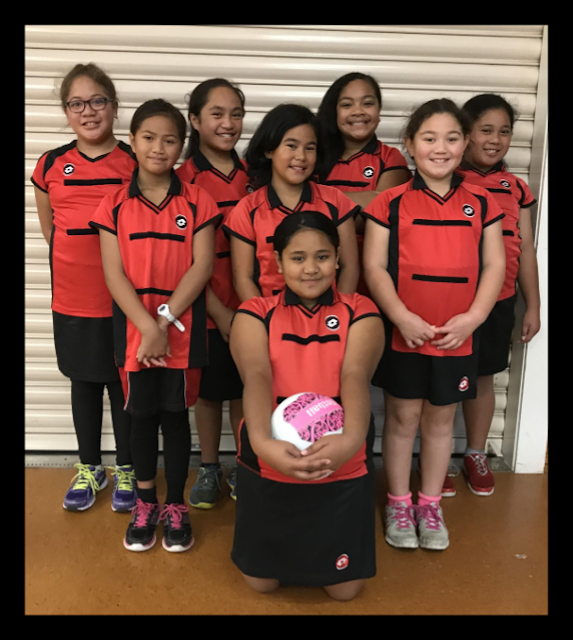 The girls showed skill and determination to win their second game of the season 8-7 on Thursday evening in windy conditions at the Auckland Netball Centre. What an awesome coach the team has in Esther, Efe-Lata's sister! It was fabulous to see so many whānau supporting the team at the courts too. Good luck for the rest of the season! 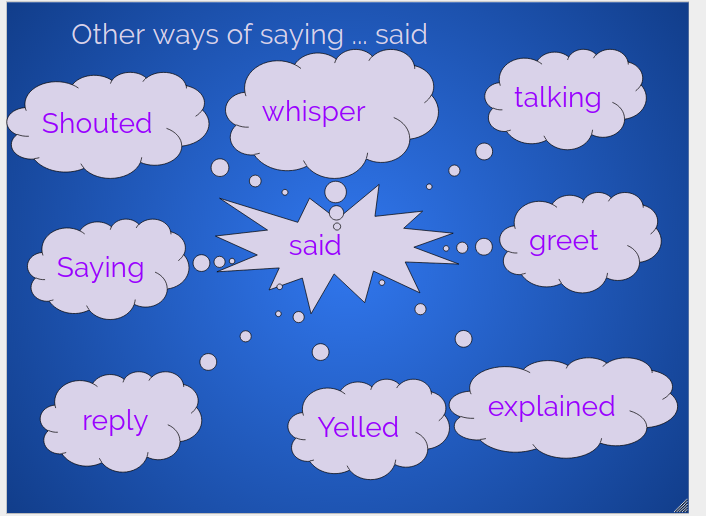 Today we are learning about other ways of saying "said". On your marks, get set, go! 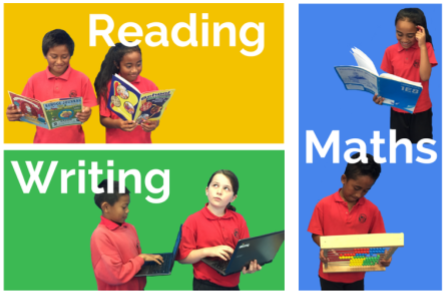 We raced off to read the short story while our buddies waited with their Chromebooks at the ready. They had to type up the words that we told them. It was tricky reading and remembering all the words. There was lots of walking backwards and forwards between the reading station and our buddies because we had to tell them how to punctuate the sentences too. We did an awesome job of listening to each other and working together. 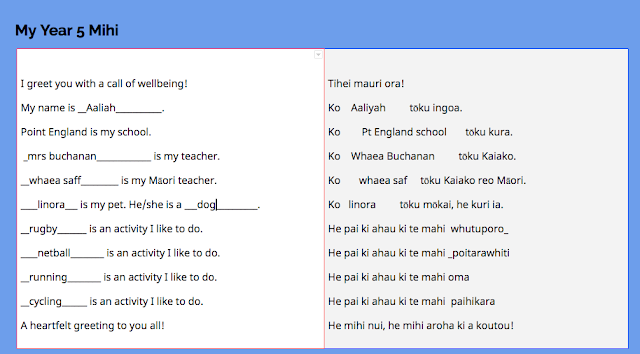 Once upon a time Loseti and John wrote a story about a Tongan king. We spent time thinking about our Mums today and all the things that they do to care for and look after us. It was fun these creating cards to share our thoughts with them. Can't wait to surprise them on Sunday! So, what's orienteering? We had our first session with Leon from Kiwisport today to learn what's involved and what we will be doing. We will be learning to find our way around by reading maps and learning lots of different symbols. We'll find out more next week! Just keep swimming ... just keep swimming! 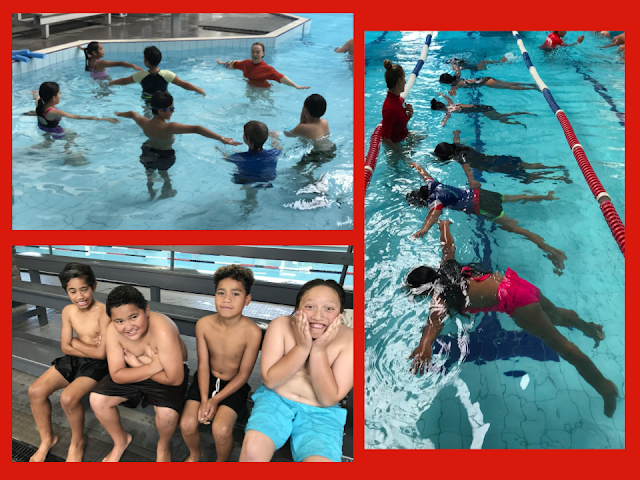 Yesterday we enjoyed our first swimming session at Glen Innes pools. Before we climbed safely into the pool, we talked and thought about staying safe at the pool and at the beach. 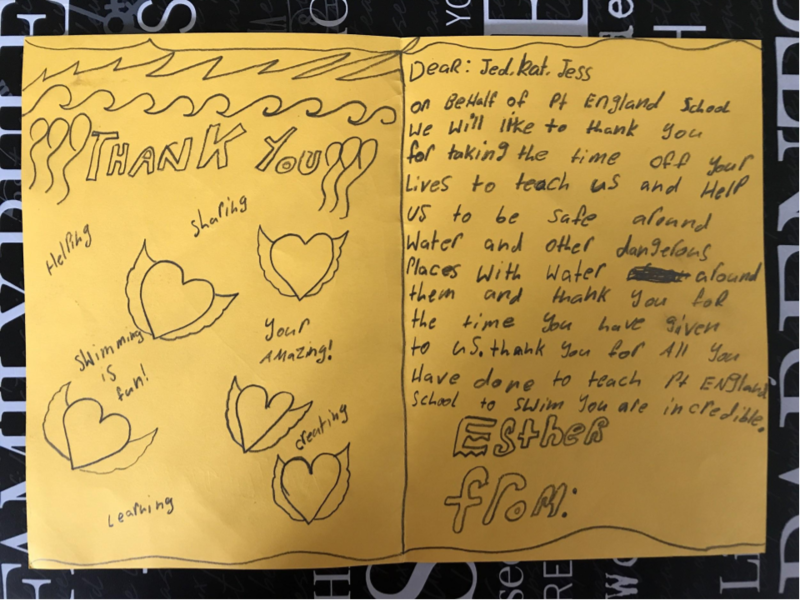 Our instructor, Kat, asked us why we should swim between the red and yellow flags at the beach. As well as the lifeguards being able to keep an eye on us, we learnt about the danger of rip currents at the beach. So much thinking! So much swimming! So much fun!